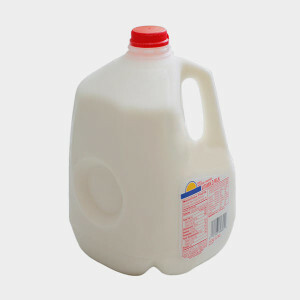 Thoroughly rinse out all milk jugs before you recycle them. Mold will grow if there is any trace of leftover milk, which can lead to an entire load being thrown out. Caps are made from a different material than containers, and are too small to be separated by processing machinery. It’s best to throw them out. Crushing jugs saves space, so you may want to do it anyway, but it’s not necessary. Crushed and uncrushed jugs are equally recyclable. With its convenient handle, a milk jug makes a great scoop for gardening, dog food, or for the kids’ sandbox. Just cut the bottom off with a pair of scissors. See photos here. Glass is often considered the most eco-friendly milk container because it’s the easiest to reuse, but its ingredients aren’t renewable and it’s heavy to transport. Plastic is easily recycled (although recovery rates are lower than they should be), but it often winds up being downcycled, which means it’s turned into products that can’t be recycled. Cartons never come out on top, because they’re not easily recyclable and frequently end up in the landfill. Read more on Slate.com.